W. Russell Grzywinski is the President of Oak Brook Financial Group, Ltd. and a Co-Principal of Oak Brook Advisors, Ltd., a registered investment advisory firm. 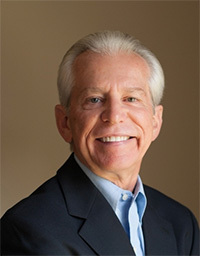 He has been a financial advisor since 1982 and has a wide range of experience in the areas of Retirement and Estate Planning, 401(K) Rollovers, Retirement Income Maximization, Insurance and Fee-Based Investment Strategies. He is also a Bank On YourselfTM Authorized Advisor. On The Day That You Retire? We help you create an effective investment strategy for ever-changing markets and for every life stage. This helps inspire confidence, clarity and calmness in all market conditions and encourages our clients to resist emotional decision-making. While it is critically important to maximize wealth accumulation for retirement, it is just as important, if not more important to consider options for maximizing your income during retirement, particularly tax-free income. All rollovers are not the same so you want to make sure that you understand all of your options before making a decision. We are Rollover Experts. A financial strategy that is safe, predictable and guaranteed to increase in value, even during stock market declines. Bank On Yourself™ adds "certainty" to a financial plan, and it also helps to soften the impact of investment losses in the scope of an overall portfolio. When it comes to saving for college, most families typically use 529 Plans, Coverdell Education Savings Accounts or State pre-paid plans. We believe that there is a much more effective way to plan for College Education expenses, and that you don’t have to choose between saving for college or saving for retirement.